Are you suffering from lower back pain? Well, you are not alone. Many of us have experienced this pain at some time in our life. This pain can range in intensity from a dull ache to a sharp, intense pain (sciatica), that travels down your legs and makes it impossible to move. In fact, back pain is one of the most common reasons for missed work days. It also changes our sleep routine. 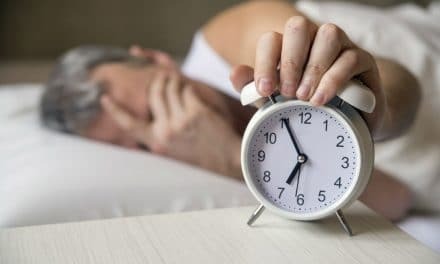 According to a National Sleep Foundation poll, people suffering from chronic back pain get 42 minutes less sleep every night. Sedentary lifestyle, bad posture and stress are the leading causes of this pain. Most cases of lower back pain are temporary and get resolved in a few weeks. Chronic back pain, a pain that lasts for more than 12 weeks, needs medical care and treatment. Lower back pain can seriously affect our life as it becomes difficult to sit down at one place for a long time. 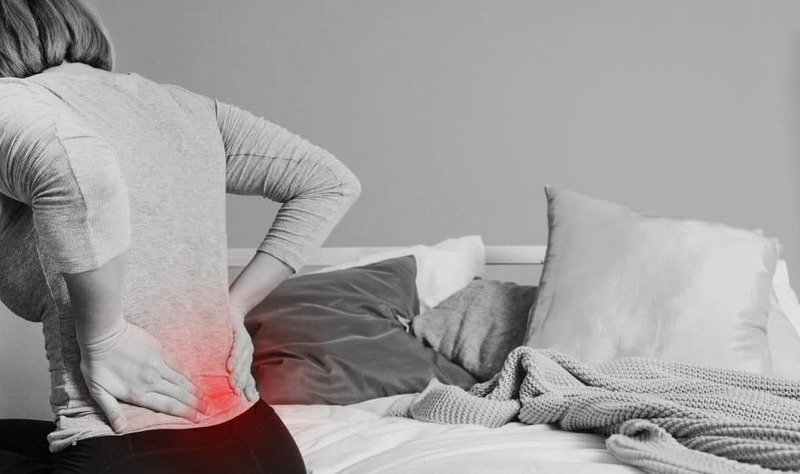 Follow these tips to help you sleep better with lower back pain. A warm water bath will relax the muscles around your sciatic nerve and release pain-fighting endorphins. Ensure that the temperature of the water is not too hot as it may raise your body temperature and make it difficult for you to fall asleep. If your mattress is more than ten to twelve years old, it is time to change it. A soft mattress does not go very well with back pain. Choose a firm mattress that can give proper support to your back. 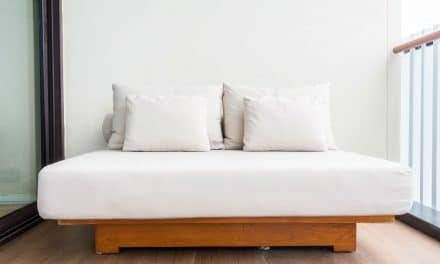 Remove the box spring from under the mattress for more firmness. Get rid of your mattress and sleep on a yoga mat or a large beach towel instead. Although many experts do not agree with this practice, those who follow it swear by its merits. Don’t give up sleeping on your yoga mat after just one day, as it may be a bit tricky. Try this for a week, and you may find that sleeping on a hard surface alleviates your sciatic pain. If you have pain in your lower back, you may feel the desire to lie down for long. Lying down on the bed for long is not a good idea as it may put more pressure on your back and make the pain worse. Sleep for eight hours a day that are necessary for you. But do not overdo it as it may make matters worse. Try doing a few minutes of meditation before you go to sleep. Meditation can ease the pain as it shifts your focus from pain to something calmer. Meditation brings our heart rate down, it lowers the tension in our muscles, and all these things have a positive impact on the pain. Mindfulness-based stress reduction is beneficial in treating lower back pain, and it helps you sleep better. Soft and soothing music has an impact similar to meditation on our sleep. Listen to calming music shifts our focus away from the pain and helps us sleep better. 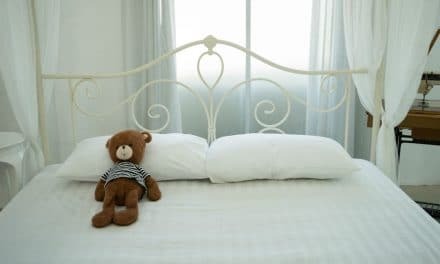 Sleeping aids can add to the comfort level of your bed and make you sleep better. Body and neck pillow can provide support. A wedge-shaped pillow behind your back offers comfort when you sleep on your side. Use blackout curtains to improve the quality of your sleep. Sleep masks also help you sleep better as they black out the extra light. Use a pillow below your knees if you are sleeping on your back to relieve the pressure on your lower back. If you sleep on your side, you must place the pillow between your knees for support. If you prefer sleeping on your stomach, you must put the pillow under your pelvis. Proper alignment of the spine is critical, regardless of your preferred sleeping position. You must switch off all electronics at least 30 minutes before you lie down to sleep. The light from these electronic devices can interfere with our sleep pattern and make it difficult to sleep. This can get even worse if you are suffering from lower back pain. Always try to go to sleep and wake up at the same time every day. Ensure that you have at least eight hours of sleep every night. Try some calming activities like listening to music or reading a book before you sleep. Do not have any caffeinated beverage later in the night. Try these calming activities to help you sleep better with lower back pain at night. However, if your pain persists, check with an experienced chiropractor.